Ms. Jeannie is never one to toot her own horn, but having prefaced what she is about to say with that disclaimer, she is adding a new category to her blog entitled Press Mentions, which will organize all the places around the web where Ms. Jeannie has popped up in conversation. She likes this category not for the “look at me” neurosis but for the ability to showcase other talented creatives who have stumbled upon Ms. Jeannie’s shop and and interpreted her vintage items in their own unique way. Ms. Jeannie discovers so many fascinating people through these features, so many new ideas, so many new viewpoints, that’s what she’d like to pass on to you in these monthly round-ups. Possibly you will discover something new and exciting for yourself. All of the photographs are clickable links that go directly to each source’s site so get your explorer hat on and ready yourself for a little getaway. In this round-up, you’ll head to to Britain (twice), fall in love with flowers all over again, be introduced to what is fresh and new in beachy cottage decor and be inspired by the possibilities of paper. Jocelyn is an American expat living in London. With a beautiful eye for interior design (see her portfolio here), her blog offers a calm, thoughtful and artful approach to living graciously. Freedom with Flowers follows the adventures of Rowan, who just celebrated her 20th birthday and has a gorgeous appreciation of all things floral. Mickey has been involved in the advertising and design industries for over 30 years. She recently started her own decoupage plate and home decor business. With the relaxed, coastal type feel of her designs, they would be perfect additions to your beach house or country cottage. Peta is also based in the UK. In addition to selling vintage jewelry online she also is the editor a new free vintage magazine, which is gorgeous in both layout and design. 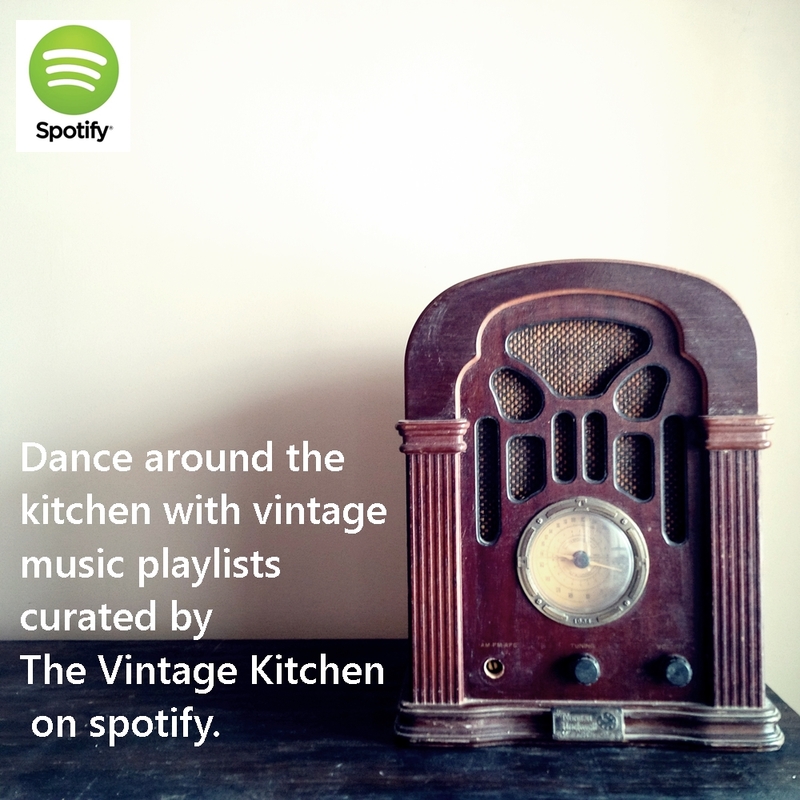 Content ranges from vintage recipes to howto tutorials to interviews that recall all the glamour without all the fussiness of vintage style. Martha needs no introduction! This feature was thrilling for Ms. Jeannie because she has always been inspired by Martha’s entrepreneurial spirit! Happy inspiration! And a great big THANK YOU to all the ladies above for inviting Ms. Jeannie into your thoughts. Also on quick side note: Ms. Jeannie just joined bloglovin’ which is a handy little organizer that allows you to collect, follow and read blogs from all over the internet in one handy little spot. 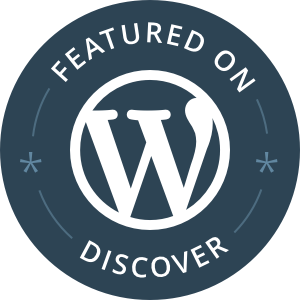 It doesn’t matter if its a wordpress blog, a blogspot or a personal website – you just gather all the ones you want and every morning your bloglovin’ feed is updated and emailed to you. Ms. Jeannie was over the moon that a set of her children’s books were mentioned on marthastewart.com yesterday! The piece was about a 17 year old paper artist named Lova, who creates all sorts of paper art, flowers, gift wrap, dioramas and such from vintage paper. 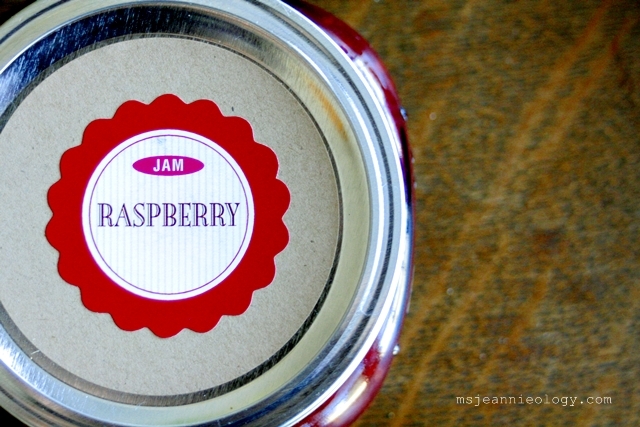 Lova chose Ms. Jeannie’s Etsy shop as one of her favorite sources for inspiration! As a big lover of both paper art and Martha, Ms. Jeannie was doubly thrilled! To read the entire article, click here. To see more of Lova’s work visit her website. 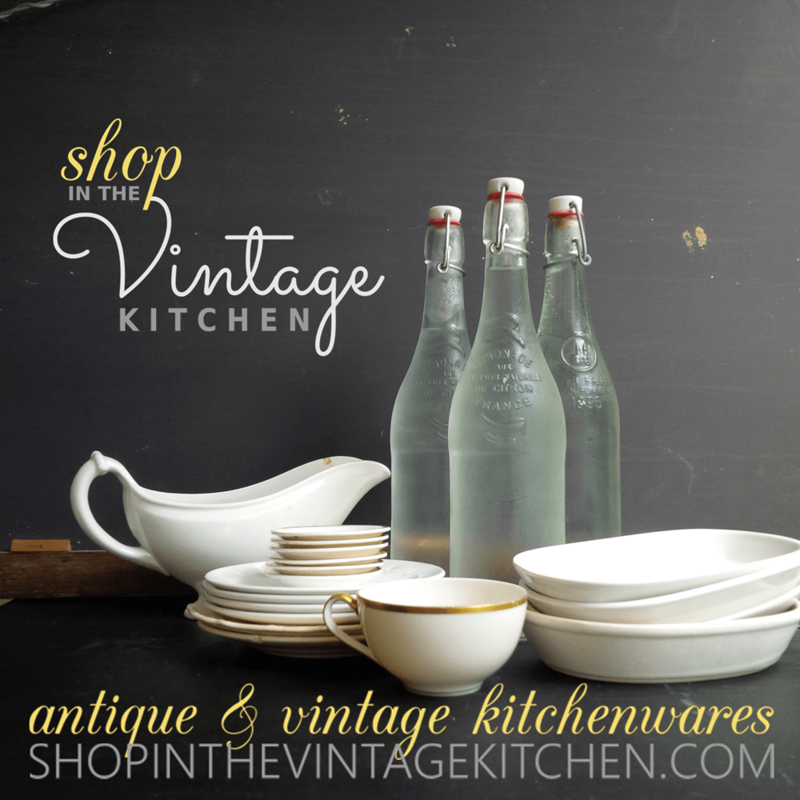 A big BIG thank you to Lova and to Taylor at Martha Stewart! Last night Ms. Jeannie had a craving for a little dessert. So she pulled out her recipe books and flipped through the pages to see what jumped out at her. As luck would have it, she discovered she had all the ingredients on hand to make Whoopie Pies, one of Mr. Jeannie Ology’s favorites. It is essentially a whipped peanut butter cream filling sandwiched between two chocolate cake mounds. You can use all sorts of different types of filling (sweet cream, mint, maple cream, etc) but Mr. Jeannie Ology is such a nut for peanut butter, she decided to surprise him with a little sweet treat. Originally made famous by the Pennsylvania Dutch, Ms. Jeannie first learned of whoopie pies when she visited Amish Country in Lancaster County, Pennsylvania years ago. While flipping through Martha Stewart Living magazine some years later, Ms. Jeannie came across the recipe. So that’s the one she uses. 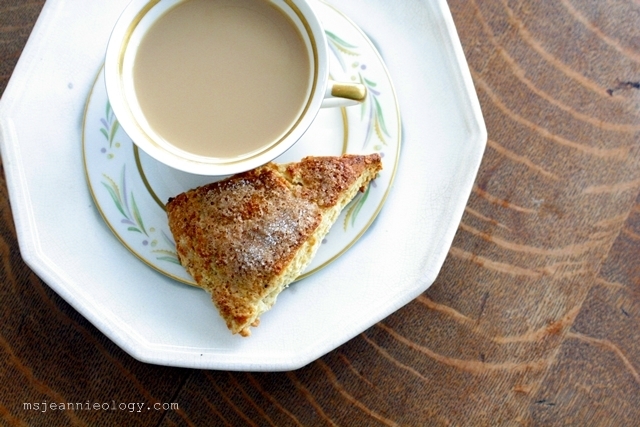 You’ll find that version of the recipe listed at the bottom of this blog post. Ms. Jeannie’s platter of whoopie pies. There were a few more in the batch that got eaten before the photoshoot:) That Mr. Jeannie Ology – he just loves them! Sources trace the first whoopie pie back to the early 1920’s. Named from the sheer delight of discovering such a treat, eaters of the delicious dessert often said “whoopie” when they were offered one to enjoy. 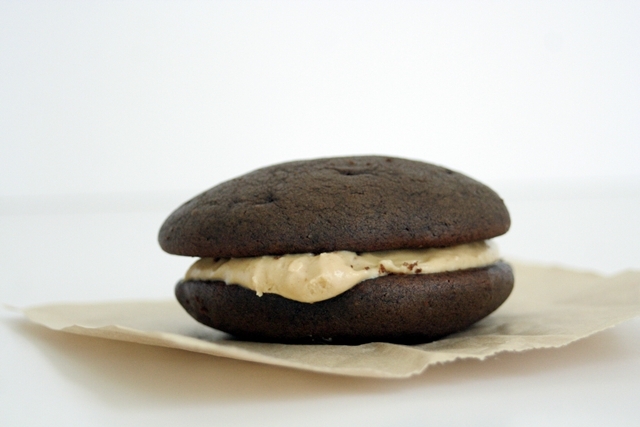 Both Maine and Pennsylvania are the state leaders when it comes to the commercial production of the whoopie pie. Maine loves them so much they are considered the official state treat. 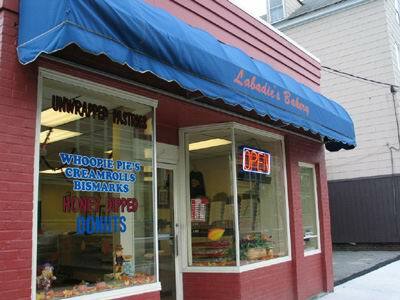 Labadie’s Bakery in Maine has been making whoopie pies in the same location since 1925! And every September in Pennsylvania, in the heart of Amish Country, occurs the Whoopie Pie Festival, where people participate in all sorts of challenging feats like the whoopie pie treasure hunt, the whoopie long shot, whoopie checkers, whoopie yell off, whoopie pie eating contest and more! 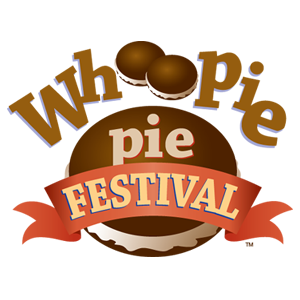 The Annual Whoopie Pie Festival in Strasburg, PA. This year scheduled for September 15th, 2012. 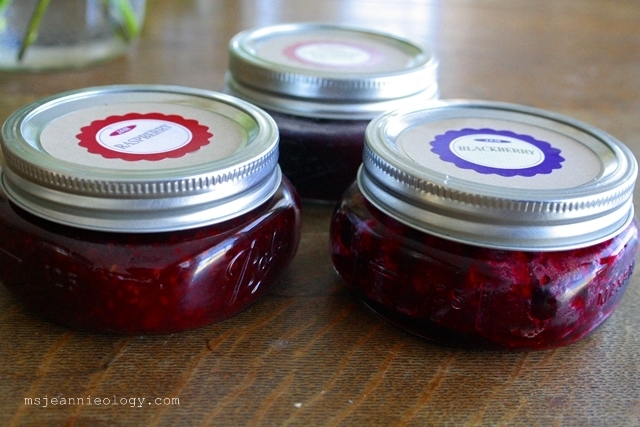 Or for those that aren’t the baking sort, you can buy them already made in a variety of flavors! Either way, whether you decide to make them yourself or by them already prepared you are in for a sweet treat! Preheat oven to 375 degrees. Line two large baking sheets with parchment paper; set aside. Sift together flour, cocoa, baking soda, and salt into a small bowl; set aside. Add butter, shortening, and sugars to the bowl of an electric mixer fitted with the paddle attachment; cream on high speed until smooth, about 3 minutes. Add egg; beat until pale and fluffy, about 2 minutes. Add half the flour mixture, then the milk and vanilla; beat until combined. Add the remaining flour mixture. Beat together, scraping down sides of bowl with a rubber spatula as needed. Drop 12 slightly rounded tablespoons of batter 2 inches apart on each baking sheet. Bake the cookies in the upper and lower thirds of oven, 10 minutes; switch the positions of the baking sheets, and rotate each one. Continue baking until the cookies spring back to the touch, 2 to 4 minutes more. Remove from oven; let cookies cool on baking sheets, 10 minutes.Transfer with a metal spatula to a wire rack; let cool completely. Meanwhile, line a cooled baking sheet with a new piece of parchment; repeat process with remaining batter. Spread 1 scant tablespoon buttercream on flat sides of half the cookies.Top each with one of the remaining cookies, flat side down, and gently press together. Transfer pies to a tray. Melt half the chocolate in a saucepan over low heat, stirring until smooth. Remove from heat; add remaining chocolate, and stir until melted and smooth. Transfer to a pastry bag fitted with a plain round tip (Ateco #2 or #3) or a small parchment cone. Pipe chocolate in a spiral pattern on top of each pie. Let chocolate set before serving, about 1 hour. BLOG UPDATE! 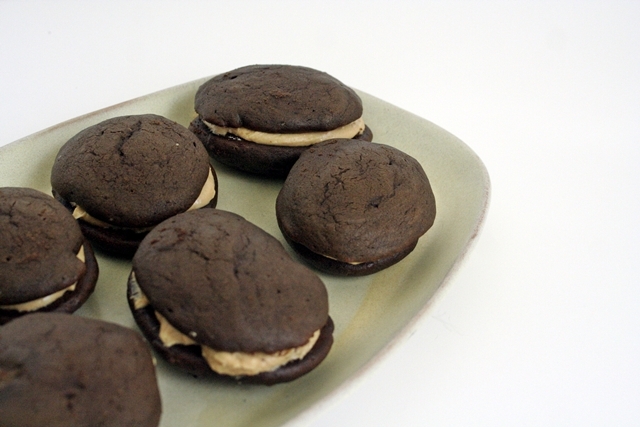 A lovely reader wrote in to say that Maine has its own Whoopie Festival too! 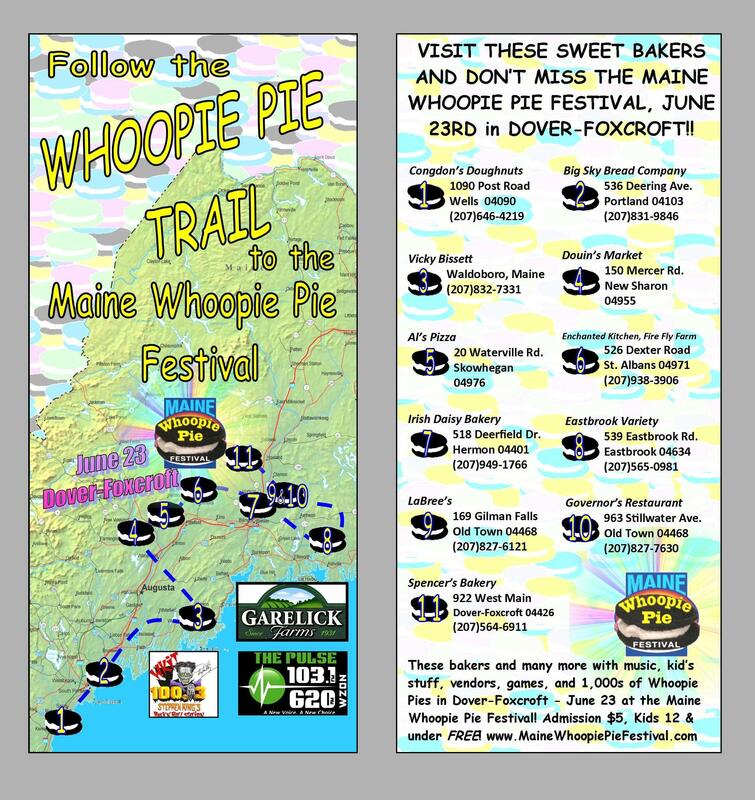 This year, the Maine Whoopie Pie Festival is held on June 23rd from 10:00am – 4:00pm in Dover-Foxcroft, Maine. Like the Pennsylvania Whoopie Pie Festival, there is a bevy of themed activities, but one of the most creative is the Whoopie Pie Trail which takes you on a tour of several bakeries in the Dover-Foxcroft area. This sounds like one delicious way to spend an afternoon! 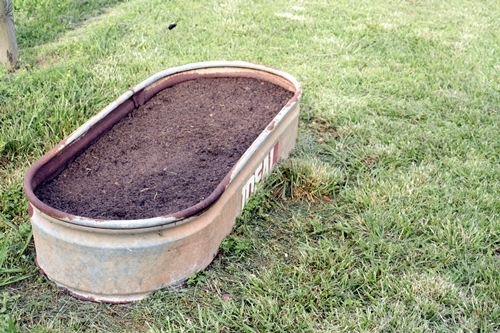 Today Ms. Jeannie started planting her summer garden. 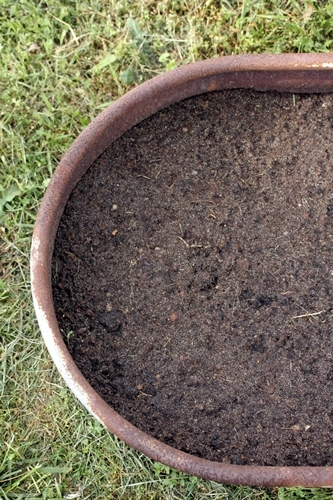 Bed of sunflower seeds all planted! 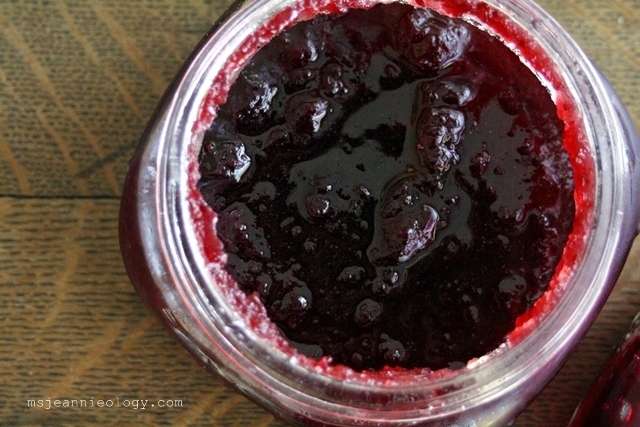 It’s been a very mild winter this year in the South, so she could have started much earlier, but every once in a while, a folklorish sounding thing called blackberry winter hits our region, which sort of fools you into thinking that spring has sprung. But then a wicked Mr. Frost comes calling, and knocks out all the early garden preparations. Usually this happens around Eastertime, if it occurs at all, but this year Ms. Jeannie is throwing caution to the wind and planting early. Hopefully it will all work out. 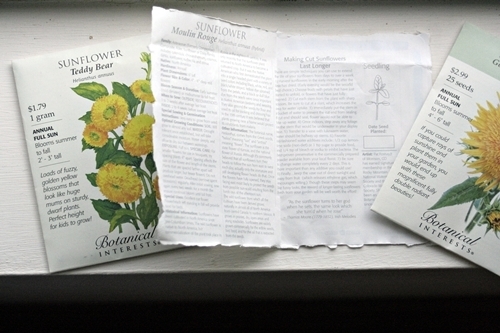 Ms. Jeannie likes to order seeds from her favorite company, Botantical Interests. They have a lot of heirloom varieties, organic mixtures and seeds that always sprout. 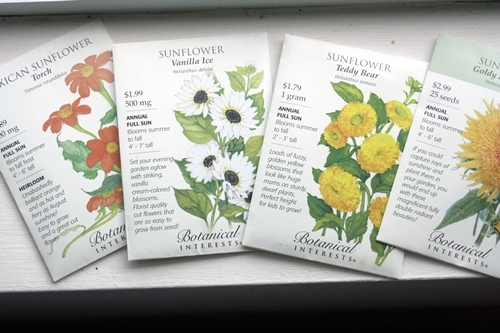 Plus they have marvelous looking seed packets that contain all sorts of fun growing information. They contain drawings of what the seedlings should look like too, which is helpful if you have a weed prone garden or aren’t quite sure what is what! This year Ms. Jeannie is keeping things simple by just planting sunflowers and herbs. She will leave her vegetable growing to the local farmers and just shop for them at market each week. Ms. Jeannie always likes to be a little out of the ordinary, so she has ordered 4 different varieties of red sunflowers, two fuzzy yellow sunflowers and one white sunflower. 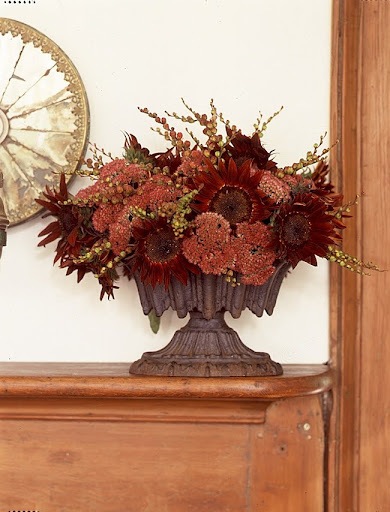 Ms. Jeannie finds red sunflowers to be most elegant in a bouquet and since many people aren’t familiar with them, she enjoys a bit of the surprise element! 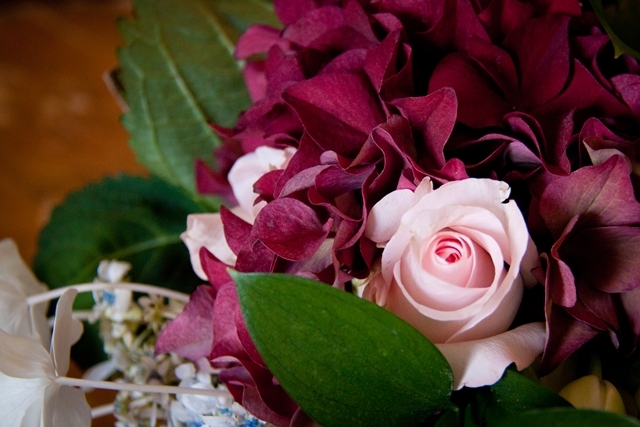 Martha Stewart put together this beautiful bouquet. 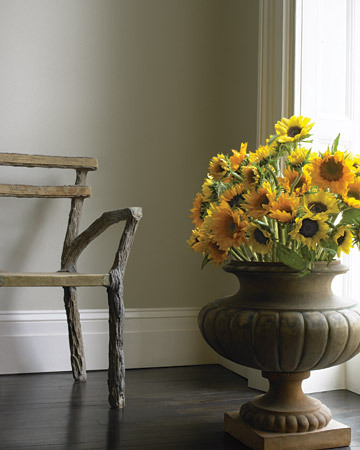 Urn style planters serve as great vases for sunflowers. 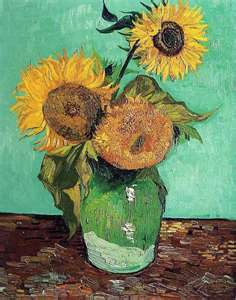 Their tall yet curvaceous lines balance the bold roundness of the sunflower face. 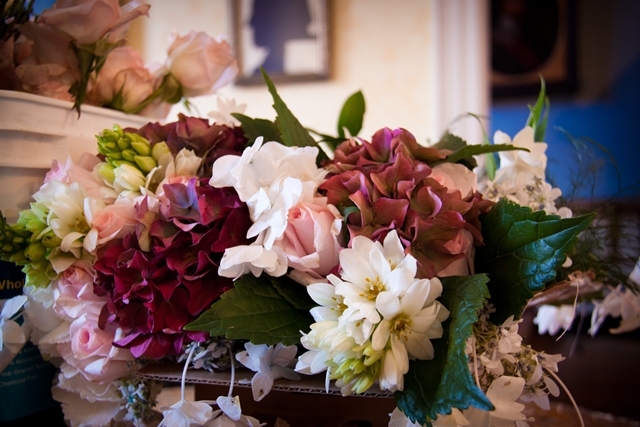 Urns are usually heavier too, which is good, because some mammoth varieties can reach heights up to 9′ feet tall! 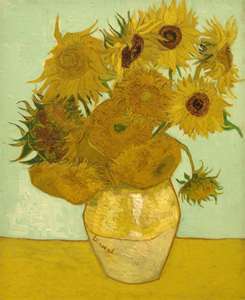 The botanical name for sunflower is Helianthus, which comes from the Greek word “helios” which means “sun” and “anthos” which means “flower.” Although native to North America, sunflowers were first discovered by European explorers in South America, but Native American tribes had been growing, cultivating and defining them from the beginning. Native American tribes used the flower petals for dye, the seeds for food, the oil for ceremonial body painting and the stalks for fiber. 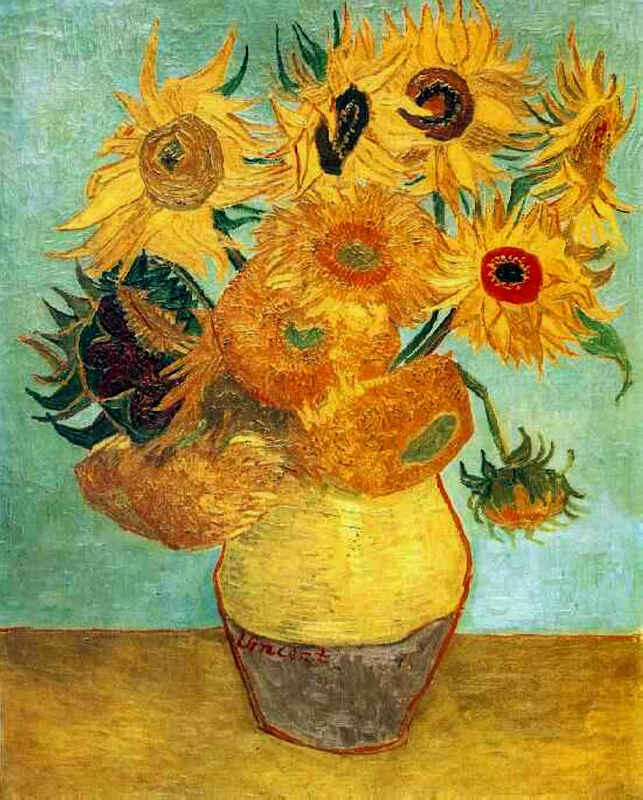 Explorers brought seeds back to their native countries, so that by the late 1500’s sunflowers were a common site throughout Europe. By the 18th century though that Europeans began cooking with sunflower oil. If you have never cooked with sunflower oil, it is supposed to contain the highest levels of Vitamin E, of all the cooking oils. It is light in taste and color. and is low in saturated fat. Learn more here. 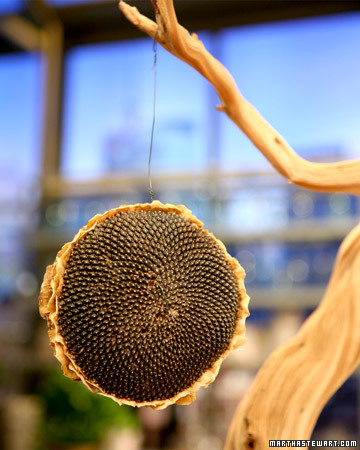 To make your own birdfeeder like this one click here. 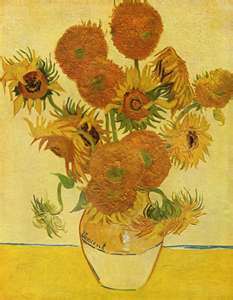 …perhaps she will learn more about the inspiration behind all those sunflower portraits! Maybe he’ll even address the red ones! 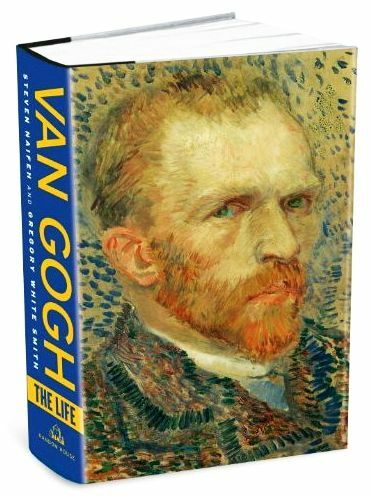 If anyone has already read this book, please let Ms. Jeannie know what you thought of it. She always enjoys a good book review. Ok, garden. Ms. Jeannie can’t wait to see your pretty faces. So start GROWING!